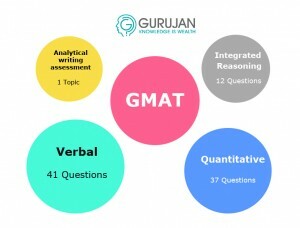 The Graduate Management Admission Test (GMAT) is a computer adaptive test (CAT) that intends to assess an the candidates writing, quantitative, analytical, verbal and reading skills in standard English format in order to gain admission into a graduate management program, for example an MBA. It is a myth that the GMAT actually checks for business knowledge or skills related to business intelligence or intelligence in general. According to the company that conducts the test, GMAT categorically aims to assess candidate’s analytical, problem solving abilities along with data reading, logic and critical thinking which is key to the world of business and management. Many business schools use the GMAT as a criterion for admission to their Master of Business Administration, Masters Degree in Accountancy or Master Degree in Finance. GMAT can be taken in 112 standardized test centers across the globe. The test owners, Graduate Management Admission council (GMAC) initially took shape as an association of nine business schools who aimed at develop a standardized entrance test that can help them select qualified applicants. In recent years, the test is taken more than 220,000 times annually which has come a long way from a mere 2000 times in the first year of its existence. Initially around 54 schools required applicants to take the GMAT, that number has risen to around 2100 schools and 5900 programs worldwide. GMAT consists of four sections: A written assessment is conducted on analytical and integrated reasoning. It also includes the quantitative and the verbal section. Including breaks the total test time could come up to four hours, so prepare to lock those in! Below is the breakup as per the official website for preparation and exam test of GMAT. Scoring ranges from 200 to 800 and measures the test taker’s performance on the quantitative and verbal sections together. Important information, the performance of the candidate in Analytical writing Assessment (AWA) and integrated reasoning doesn’t count towards the total score. The average GMAT score of all test takers’ is 540 and this number changes often. There are some excellent preparation resources available both offline and online. In case you prefer the traditional paper book to prepare for GMAT, the best books around are- The Official Guide for GMAT Review and this is the best book if you wish to buy only one! Some others are, Manhattan GMAT Strategy Guides (8 Books! You need patience for this! ), Kaplan GMAT 800: Advanced Prep for Advanced Students (best if you have already read the official guide), Kaplan GMAT Math Workbook (excellent for math basics) and many others that aim specifically at each section of the test. There are some brilliant user friendly sources of preparation online too, starting with the official page, www.mba.com, www.topmba.com etc., You can keep yourself up to date by becoming a member of social forums on GMAT, that include Facebook pages and other web based forums. If you wish to get complete guidance face to face, then why not enrol into your nearest GMAT coaching centre. Some of the best institutes in India for GMAT preparation include but not limited to IMS India, Jamboree India, Career Launcher etc., Check in your respective cities to see the coaching class’s average GMAT score annually, and this will give you a good idea. Easier said than done however dig a little deeper into the four steps and you will see that all GMAT success stories boil down to these. All the best and we hope that this article gives you a brief idea on how to get a grip on GMAT!